Timu Coconut Oil is high in anti-oxidants Vitamin E and A which contain anti-aging properties to prevent wrinkles, fade Stretch marks and fight cellulite. A blend of six oils, apply after showering to moisturize and nourish the skin. Excellent when used as a deep tissue massage oil and conditioner for the hair. Try adding a few drops to our Ginseng Cream. 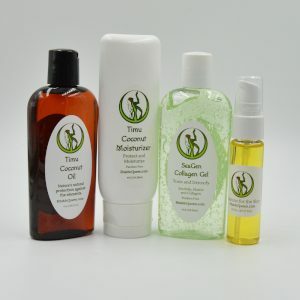 Timu Coconut Collagen Moisturizer – We have blended the beneficial ingredients of both the Timu Coconut Oil and the SeaGen Collagen Moisturizer, which together, leaves your skin soft and hydrated. 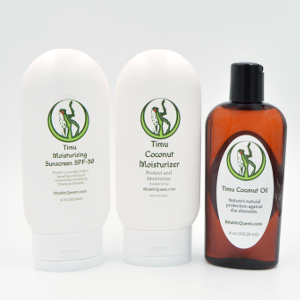 Protect your skin from the elements with Coconut, Collagen, Aloe Vera, Kelp, Sunflower Oil and Shea Butter. Apply daily to smooth, firm and nourish your skin. Excellent hand and body moisturizer. The Coconut is natures natural protection against the elements. We know winter is hard on your skin so we are offering you a special this month – 6 oz. Coconut Collagen Moisturizer. Timu Coconut Oil 4 oz. Timu Coconut Collagen Moisturizer 6 oz. 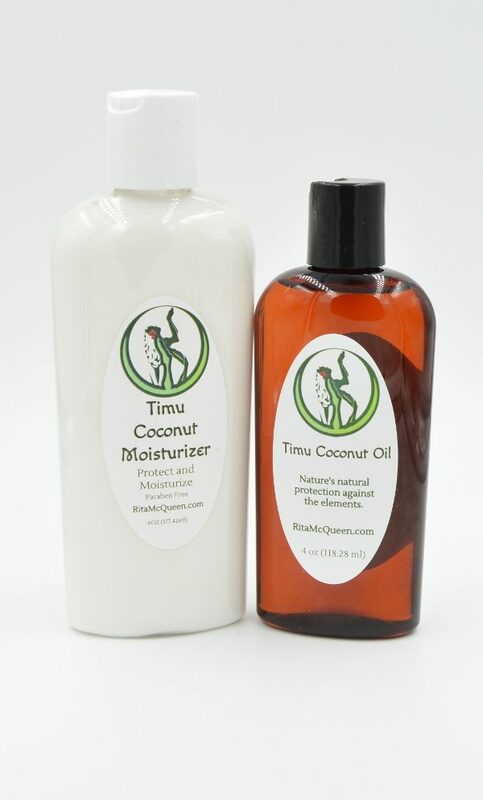 Timu Coconut Oil is high in anti-oxidant Vitamin E and contains anti-aging properties to prevent wrinkles. Fades Stretch marks and fights cellulite. A blend of six oils, apply after showering to moisturize and nourish the skin. Excellent when used as a deep tissue massage oil and conditioner for the hair. Coconut is also a natural UV blocker, but you should always use a sunscreen. Argan Oil – High in Vitamin E, cools and reduces inflammation. Contains Saponins and Sterolins that improve skin metabolism and promote moisture retention. 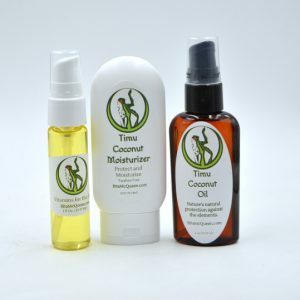 Timu Coconut Collagen Moisturizer – We have blended the beneficial ingredients of both the Timu Coconut Oil and our SeaGen Collagen Moisturizer, which together, leaves your skin soft and hydrated. 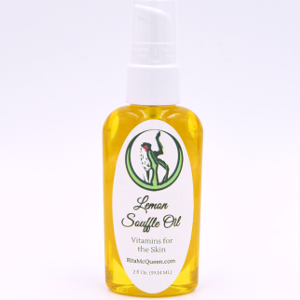 Apply generously to hands and body to nourish and maintain elasticity in the skin. Timu Coconut Oil Ingredients: Coconut Oil, Apricot Kernel Oil, Sweet Almond Oil, Safflower Oil, Avocado Oil and Argan Oil.